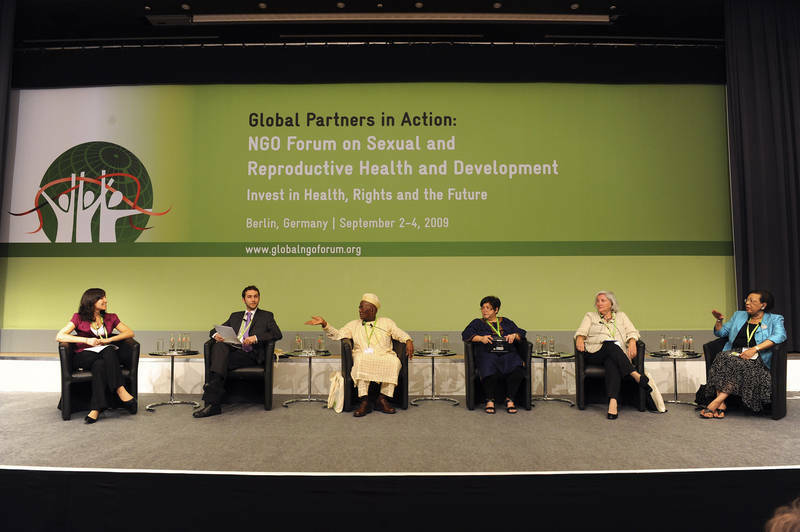 From 2 to 4 September 2009, it happened in Berlin, Germany, the NGO Forum on Sexual and Reproductive Rights and Development – Invest in Health, Rights and the Future, organized by the Global Partners in Action. With Claim on Economic Stimulus Funds, activists from 131 countries convened in Berlin to recharge a global movement for women’s health and rights, opening with an appeal from a leading government minister for countries to earmark 1 percent of their economic stimulus funds for development needs. > Read a short article on this meeting written by Ranjani K.Murthy, an independent Indian researcher on gender, poverty and health.